Born in Port Elizabeth on 7th March 1984, Lonwabo Lennox Tsotsobe is a figure you cannot miss on a cricket field. Fondly known as 'Lopsy', he made his First Class debut with the Eastern Province against Boland and made an immediate impact with his performance. It was evident that this tall bloke wouldn't quite make the batsmen sweat with his pace but his line and length along with the bounce was something that would earn him loads of wickets. 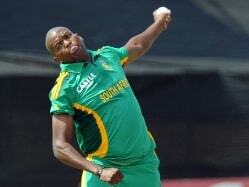 Obstacles are a part of every cricketer's life and Tsotsobe sure had his fair share of them. 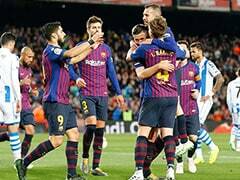 There were doubts regarding his fitness and stamina. He wasn't exactly an Allan Donald in the pace department but that did not deter him. An impressive season with Warriors in the year 2008-09 earned him a call up for the Test as well as the ODI leg of the tour of Australia but it was the shortest format of the game where he entered the international arena. 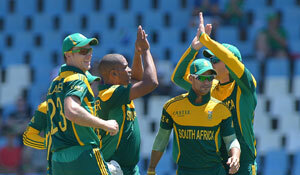 Making his T20I debut against Australia, Tsotsobe followed it with an ODI debut against the visiting Australians. His 4/50 on debut saw him earn a central contract for South Africa. 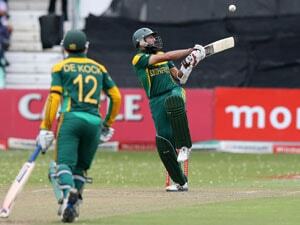 He replaced another left-arm pacer Wayne Parnell in 2010 who was injured at the time for the tour to the Caribbean. Tsotsobe did not disappoint with the ball and that helped him jump into the Test side as well. Tsotsobe continues to be a regular feature with the South African national side in the limited overs format and is a key figure in the bowling attack. He however, has not been much effective in the longest format and that is something he needs to work on.